Tanzanian Affairs » "NOW WE FEEL SECURE ENOUGH….."
"NOW WE FEEL SECURE ENOUGH….."
It was the end of the trip and we still had not found the map. And then, suddenly there it was: not the map we had been looking for but one infinitely more lovely. Meticulously hand painted (on hardboard), it was hidden away in an empty room at the Village Museum in Dar es Salaam. 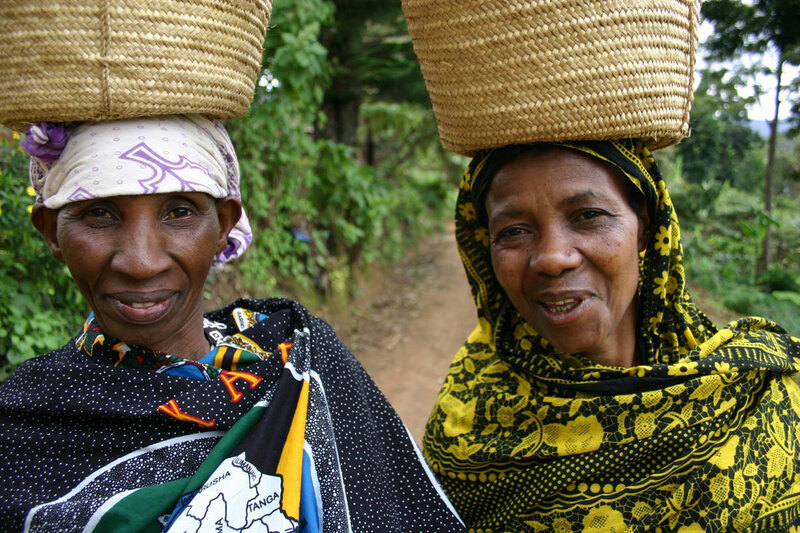 There in front of our eyes we saw the evocative names of the Gorowa of Babati, the Barbaig of Katesh, the Maasai of Longido, Mkuru and Monduli Juu, the Wa-Meru of Mulala, the Wa-Arusha Ngires’I and Ilkiding’a, the Pare of Kisangara, Usangi and Mbaga, the Sambaa of Lushoto and Mtae, the Chagga of Machame, and the Swahili of Pangani and Gezaulole. Our trip together had its origins in a casual conversation with Tony Janes of the Simply Tanzania Tour Company. He had told me about the Tanzania Cultural Tourism Programme, a partnership between the Dutch Development Agency SNV and the Tanzania Tourist Board. “It’s a fantastic programme because it involves rural villages in tourism, and the money goes into development projects in each village chosen by the villagers themselves. One village has built four new classrooms onto its school in just four years. The visitors also get a huge amount from it”. Later I was to discover that the programme had won an International award for socially responsible tourism. I had just made some important changes to my life…. wind down being a management writer and consultant, to become a serious photographer instead. Also find a way to reconnect with Africa, my roots, and Tanzania in particular where I had lived and worked for 4 years in the late sixties. This sounded like just what I was looking for. A speculative email, an exploratory visit to Arusha during a family holiday to Zanzibar, an offer they could not refuse, and hey presto, they had the photographer they were looking for. They wanted to make postcards of each village to provide an added revenue stream. “You don’t know anything about video do you” casually remarked Miet Van Spittael, the TCTP Marketing Adviser, “We need one to show at International Tourism Fairs but we don’t have any budget!” Well I did have some experience….. and this was a challenge, (and it seemed an inspiration) which others responded to. Suddenly I had a sponsor for the hire of the special video camera, a professional video editor in Amsterdam, a cameraman, and a Tanzanian musician in London composing special music. Our trip took us to 14 different villages in as many days. Each village knew we were coming and the purpose behind our work. This made for a special kind of relationship when photographing which was very rewarding. The lasting memories? A meal en famille with the local coordinator in Babati, whose family had decorated the house specially and greeted us with wreaths when they discovered it was Matt’s birthday. The intense dryness of the Mangati plain where the Barbaig of Dirma village subsist ….. a days walk to get water …. and an invitation to attend the funeral ceremonies for a village. Pares make Chagga jokes and vice versa …. so the stereotype of the Chagga is love for money … so how do you know a Chagga baby in the hospital? … throw a 100 shilling coin on the floor and the Chagga baby jumps out of its mothers arms to pick it up ……huge peals of laughter and slaps on the back from both sides .. The school with 300 kids that had been preparing our stunning one and a half hour welcome for three weeks …… and we nearly didn’t go. We had only just heard the news on September 12th. So what now … the video gets its first showing on the Tanzania Tourist Bureau stand at the World Travel Market in London in mid­November. The postcards are being printed in Dubai and will be on sale in the villages. I have formed an organisation “kijijiVision” to use the photographs and video to help promote the programme worldwide. If anyone out there can suggest interested distribution channels I would be most grateful. I am making myself available to give talks about the Tanzania Cultural Tourism Programme, and the video is available for sale or loan depending on circumstances. I hope through this to encourage many more people to try this form of tourism, initially in Tanzania, but in time in the many other countries that are trying similar models. We hope to help similar schemes in other countries to promote themselves through the media of photography and video, by being the catalyst for bringing together people with relevant skills who believe that this is the future for tourism. For this is truly ‘Tourism that makes a difference’. 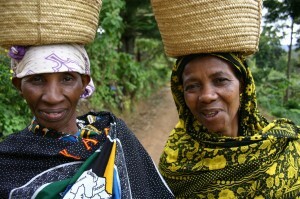 Tanzania Cultural Tourism Programme: www.tourismtanzania.com.